McCabe's lawyer says the inspector general is withholding the department's manual, electronically available to all of the department's employees. 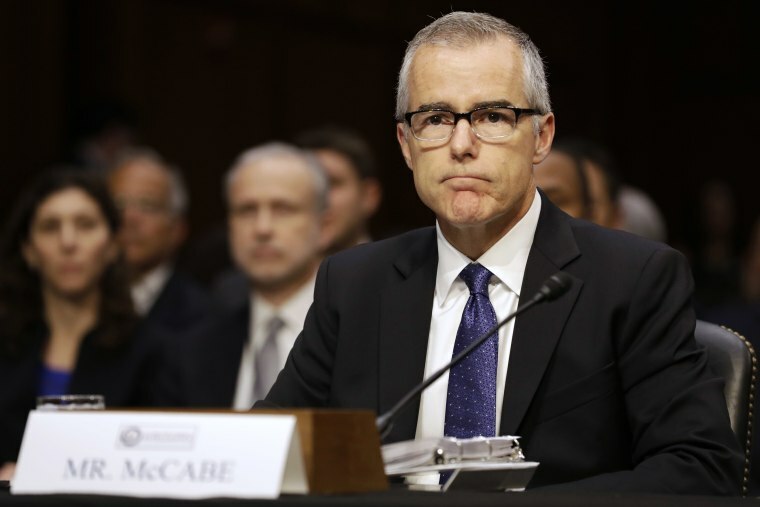 A lawyer for former FBI deputy director Andrew McCabe filed a lawsuit against the Justice Department's inspector general and the FBI late Tuesday, claiming they are withholding documents related to McCabe's firing in March. "Those requests have been denied by some of the same high-ranking officials who were involved in, or were responsible for, the investigation, adjudication and/or dismissal of Mr. McCabe," Snyder said in a complaint filed in federal court in Washington, D.C. Among the documents Snyder said he sought was the Inspector General Manual. In response to his request, he said the office of Inspector General Michael Horowitz sent him a letter stating that it was conducting a search of its records. No search was needed, Snyder said, because the manual is electronically available to all inspector general employees who use it every day. The inspector general referred McCabe's case in January to Justice Department officials for possible prosecution, concluding that he lied when he denied being the source for a Wall Street Journal story in 2016 about the Clinton Foundation investigation. McCabe abruptly resigned in January and Attorney General Jeff Sessions fired him in March, 26 hours before he was due to retire. Federal prosecutors are now looking at whether Andrew McCabe should face criminal charges based on the report's conclusions that he lied.